I was given an copy of this book for an honest review. 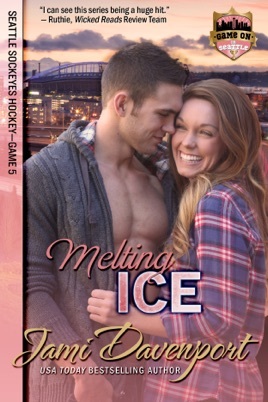 Melting Ice is about Isaac 'Ice' Wolfe and Avery Maxwell. Isaac has just been traded to the Sockeyes and its his last stop in the NHL. He has major anger issues and is in no way a team player. Avery is a horse trainer who, for once, is following her dreams and not the dreams her family has for her. She lives and works on a horse farm, which happens to be the right next to the property that Isaac rents when he joins the Sockeyes. Isaac and Avery meet and have an instant attraction, and they couldn't be more different. I liked this installment of the Sockeyes series. I didn't want to like Isaac and I ended up really loving him. He and Avery were perfect together and I loved learning their stories. 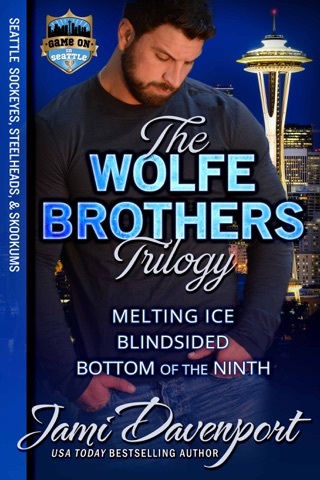 This is a must read for anyone reading the Sockeyes series and any one who wants a nice romance story. Avery started to stand up for herself and live her own life in the last book. In Melting Ice we see her story unfold. Throw in the bad boy Isaac who is on his last chance at playing in the NHL, and we have a great story. Isaac demonstrates through determination we can rise above tragedy and the mistakes that paint our past. The connection and suppose Isaac and Avery give each other throughout their story is inspirational. I also enjoyed seeing perks of Riley's progress. A great addition to a great series. Looking forward to continuing to watch the sockeyes grow! My favorite so far in the series! Isaac “Ice” Wolfe is as cold as his nickname implies, but his bad attitude has led to what very well be his last trade in the NHL. The Seattle Sockeyes are taking a chance on the player no other team wants, and if he doesn't make a change, he'll be off the ice in no time. Avery Maxwell is finally pursuing dreams of her own. Terribly neglected by her parents, she followed her sisters in making sure they had roof over their heads and food on the table. But now that she finally has the chance to do what she's always dreamed of — train and show horses — she's abandoned her college education and the future her sisters had planned for her, and is putting her heart into the one job she's always wanted. But the handsome and bitter man next door soon has her adding to the list of things she wants for herself. Judging Covers: I'm still trying to figure out why this one is pink when the other books in the series have been blue, but that doesn't mean I don't like it. The guy doesn't look quite as capable of a scowl as I would have expected, but I still think the couple fits, and they're definitely more on the attractive side than some of the previous cover couples for this series. The Verdict: We didn't get to know Avery very well in the previous books, though we saw her quite a bit and watched her relationship with her sisters hit a rough patch when she decided to leave school and make her living working with horses instead. So I was definitely looking forward to this closer look into her life and personality. Isaac, or “Ice” as he's known in the league, seems to have spent his life burning bridges. Rather than be a team player, he's used his hockey skills o prove his own worth on the ice, and he hasn't limited that attitude to his time on the ice. Reporters, fans, teammates, and coaches have all been subjected to his refusal to play nice for appearances' sake, and it's gotten so bad that every other team has washed their hands of him. But his trade to the Sockeyes is just the wake up he needs, finally seeing for himself that if he stays on the same bitter path, he'll find himself a has-been in no time, not because he's not good at the game, but because he's not good at everything around the game. Watching him come to grips with his own shortcomings and work to change his ways made for a very interesting bit of character development. Avery is Isaac's neighbor, spending her days working with horses and attending to damaged hearts, and she doesn't have room in her life for a man who wears a permanent scowl. But as their attraction heats up and Isaac's past is slowly revealed, it becomes apparent that he needs just as much love as anyone else who's been scarred. 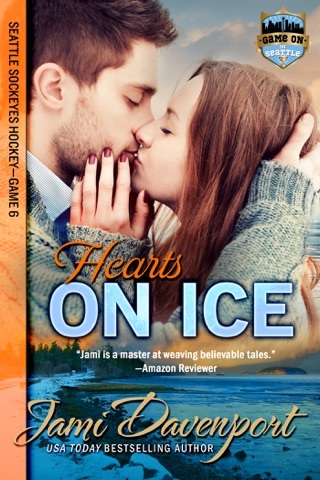 As Avery gets to know him better, though, she's also got to remain focused on her work as a horse trainer, hoping to make her mark in an incredibly competitive field, and their budding relationship is bound to create waves for Isaac as well, since Avery's sister is engaged to his team captain. Avery and Isaac both have pretty sad backstories, though Isaac's certainly takes the cake when it comes to tragedy and self-blame, but between their fiery spirits and Avery's big heart, they really do make the perfect couple. It would have been easy to rush the plot around them and add all kinds of unnecessary drama, but instead it played out at the perfect pace, focusing on Isaac's learning to accept the past and forgive himself and Avery's finally taking ahold of what she wants. 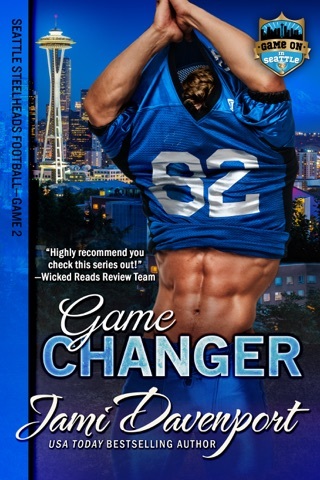 I've certainly enjoyed the other books in the Game on in Seattle series, but I think this one just might be my favorite yet.